Give your living room a punch of color with this color -block abstract design blue-grey area rug from La dole rugs. This area rug is designed to match contemporary décor style. It features an abstract design of blue, silver, and grey with the hints of black and ivory, offering a bold look to your space. 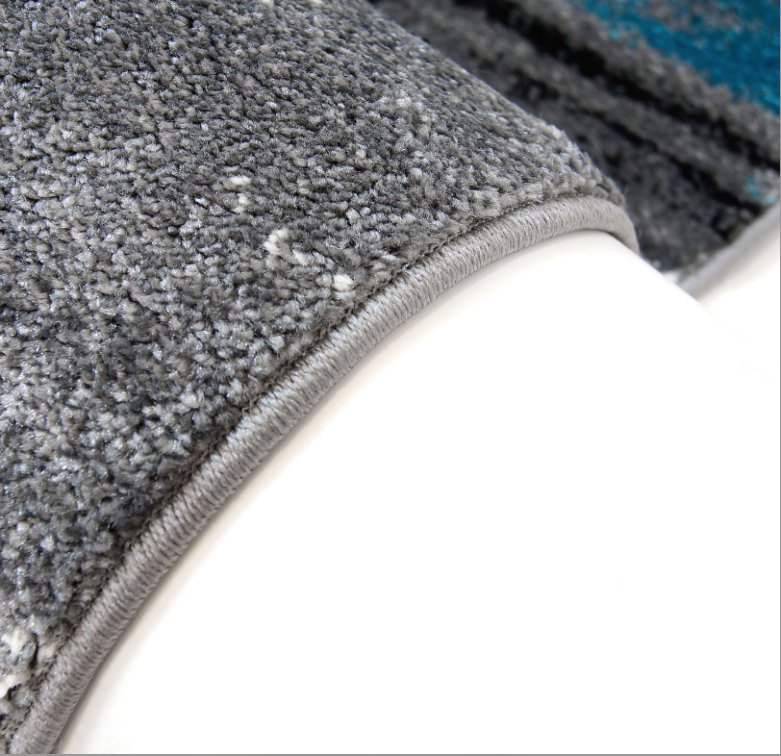 The rug is made of polypropylene fibers which makes it soft, comfortable and extremely durable. Also, the low pile height gives a unique touch to this beautiful area rug weaved with glossy yarn.Available in 3 different sizes this area rug can be a great addition to your living room, dining area, bedroom or hallway.